I recently purchased two new notebooks being offered by Jet Pens. As many already know, I’m a notebook addict and despite my lack of need can’t seem to stop buying and trying them. I’ve been a bit better lately but both of these came up and I could not resist them. First up is the JetPens Tomoe River Kanso Sasshi Booklet. These are made exclusively for Jet Pens. What’s not to love about these? Ninety-six blank pages of Tomoe River paper with a handy lined insert card all in what has come to be known as the standard pocket notebook size. For people that care about good paper — especially those that use fountain pens — Tomoe River paper is the undisputed champ. Not only is the paper lovely to write on but it is super thin — with little show through — so a notebook can hold more pages in the same weight and thickness. For comparison, Field Notes Brand notebooks have only forty-eight pages in the same size book. I give this one a “should buy”. 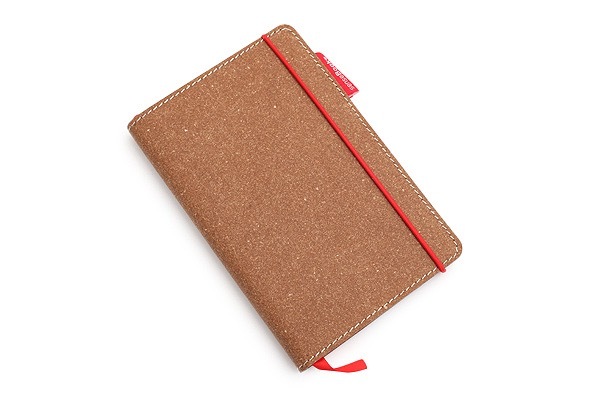 To be honest, it will be hard for me not to switch to these once my current pocket notebook (MUJI A6) runs out. They’re that good. Next up is the Holtz SenseBook by Transotype. I really wanted (and tried) to like this one, but I just can’t. I kind of see what they were going for — something a bit more sophisticated than a small Moleskine. A leather cover, a better elastic closure, a nicer ribbon, numbered pages, and even a pre-printed index section at the front. But, it is just so poorly manufactured it feels cheap. It is stitch bound — and in mine one of the stitches is already sticking up loose. It is stiff as heck and hard to keep open to use. A pocket-sized notebook should be easy to flip open and get to work. This is a struggle to keep open let alone lie anywhere near flat. I have to bend it back severely, a full 180, for several seconds and then tuck it under a couple of heavy objects on each side just to keep it open to transcribe this review. Perhaps such stiffness would improve over time and use but I would move on well before giving it a chance. To say something positive, the paper is good. Not great, just good. It seems to take fountain pen ink OK and has a decent tooth to it. But, this is really me stretching to find just one nice thing to say. Bottom line, avoid this one. 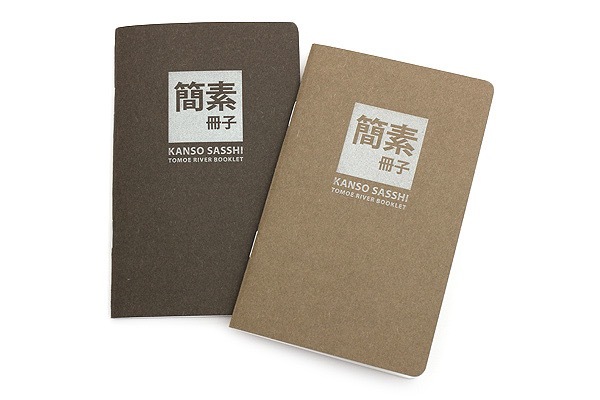 Spend the extra $5 and get a pack of the Kanso Sasshi instead.